… I make my first public appearance as a Black Library author. This afternoon, I’ll be signing Yarrick: Chains of Golgotha at the local Games Workshop, and I thank in advance everyone who shows up in the -19 C temps and blowing snow (but at least we don’t hit -30 until Monday!). I’m going to be a pretty excited little doggy over the next little while, as several of my efforts hit the streets. Golgotha was released yesterday, and Mephiston: Lord of Death begins its week-long sale on the 25th. And then, in February, The Death of Antagonis, but more on that in due course. I must keep this brief, as the signing is very soon, and I’m trying to squeeze in a bit more work on the current WIP, but I wanted at the very least to state what a thrill and a privilege it has been to work on Yarrick and Mephiston. There’s a responsibility that comes with them, too, and I hope that I have done well by these extraordinary creations. 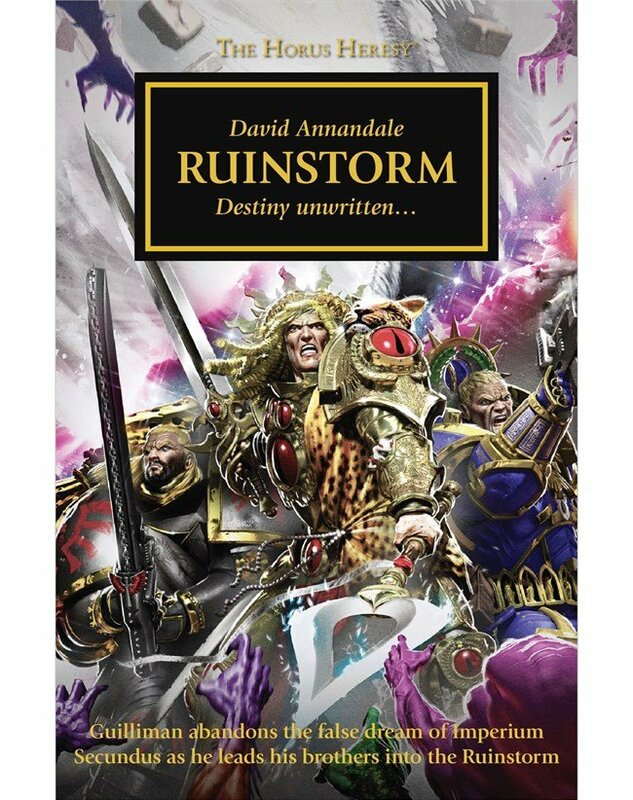 So my thanks to Nick Kyme and Black Library for giving me the opportunity. If I could go back to my younger self and tell him the universe he would be invited to tell stories about, he would explode. As far as the creative experience goes, his older self already has. Just finished Chains of Golgotha. I actually sat down and read it in one go, which is rare for me. I’ve only done that with a few HH novels and ADB books. You have a great writing style that makes for a an effortless and entertaining read where time just slips away 🙂 Thanks and keep it coming! Thanks so much! I shall indeed endeavour to keep it coming. First of all, I’d like to tell you that Mephiston: Lord of Death is great. 🙂 I was thinking about it recently and it occurred to me that some of what Mephiston describes there sounds kind of like effects of brain damage (the sensation that he and Callistarius are not the same person or that he cannot connect to those he knew before, for example). Is that an accurate observation, or am I reading too much into it?